Posted on 26th July 2018 at 12:10. Today we welcome another hardware partner to the game, the addition of ADATA (and its XPG range) to the game brings with it a whole range of high speed DDR4 RAM, super fast SSDs and even faster M.2 SSDs! That’s right, this update also allows you to add M.2 SSDs to your epic PC builds! M.2 SSD drive support means even faster storage solutions are available to supercharge your new PC builds. In this update we have added controller support for a wide range of controllers to greater increase accessibility for PC Building Simulator plus make it easier should you wish to chill out on the sofa to play! Controller buttons can be adjusted via the key bindings screen but there is bound to be a few issues with such a feature so please do report any you find in the usual places! 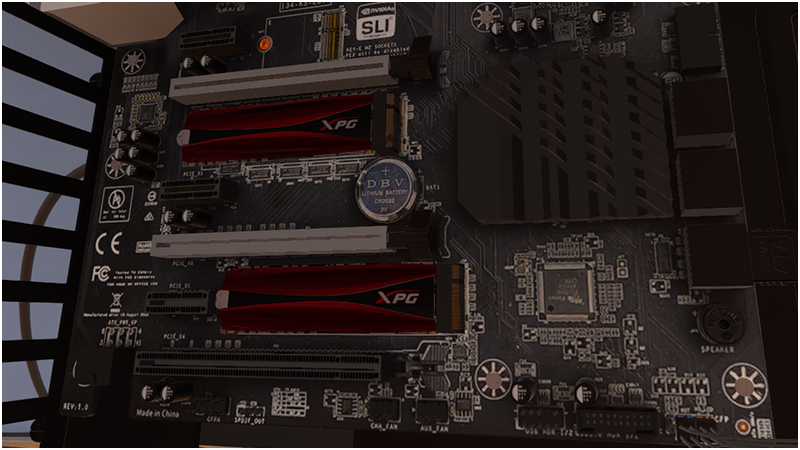 New RAM: ADATA Premier DDR4 (2), XPG Dazzle DDR4 LED (5), XPG Z1 DDR4 (25), XPG Flame DDR4 (13), SPECTRIX D80 DDR4 RGB (23), SPECTRIX D41 DDR4 RGB (19), SPECTRIX D40 DDR4 RGB (24), XPG GAMMIX D10 (5). New SSDs: ADATA Ultimate SU650 (7), XPG SX950U (8). 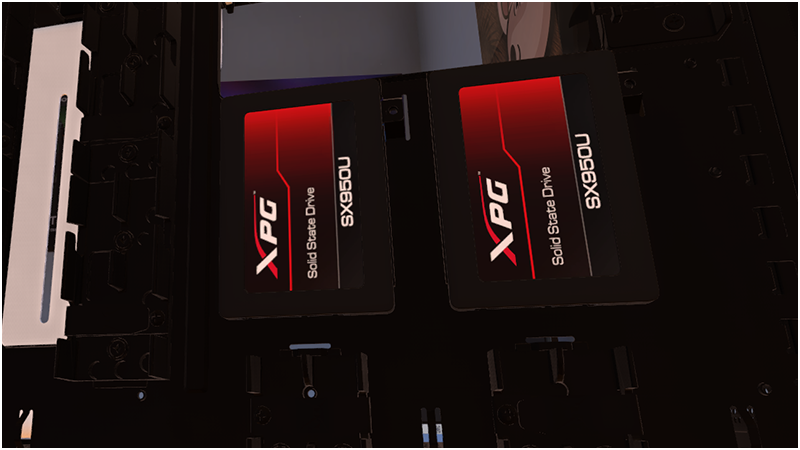 New M.2 SSDs: XPG GAMMIX S11 (19), XPG SX6000 (12), Patriot Scorch (16). 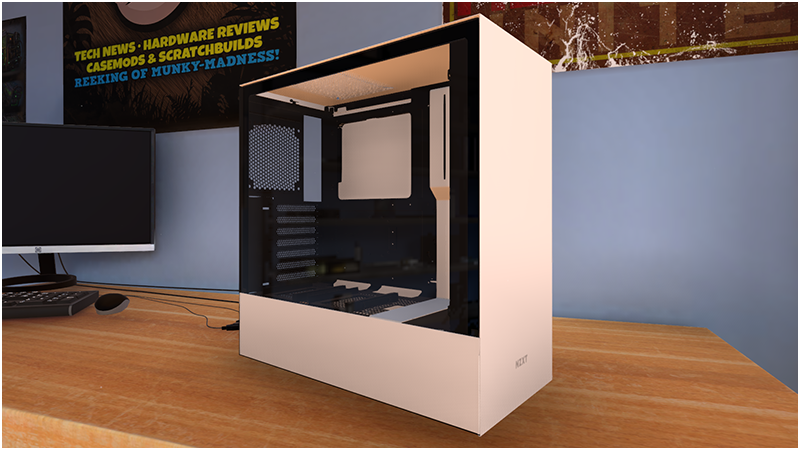 New Cases: NZXT H700i (25), NZXT H500 (24). New Motherboard: NZXT N7 Z370 (24). Added M.2 support to existing motherboards. Key binding screen updated to support controller preferences. Adjusted the UI when using a controller. 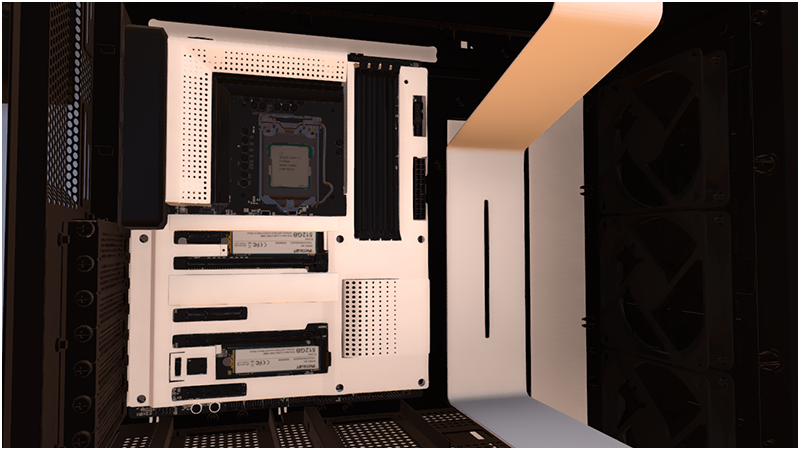 Added NZXT bios to support the N7 Z370. Added a hotkey to hide the UI: Press U. Updated the inferior part message to show the part type, e.g. CPU, GPU etc. 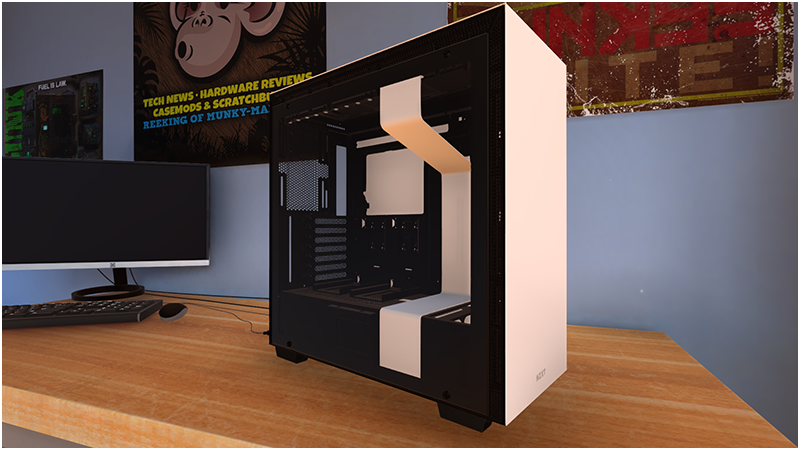 Removed top radiator slot on the NZXT S340 series of cases to match real-life. Fixed an issue that could cause low score 3DMark jobs to be generated. Fixed an issue where random job PCs would get made with no thermal paste. Adjusted the desktop icon spacing to reduce text overlaps. Patriot SSD labels have been rotated around the right way. 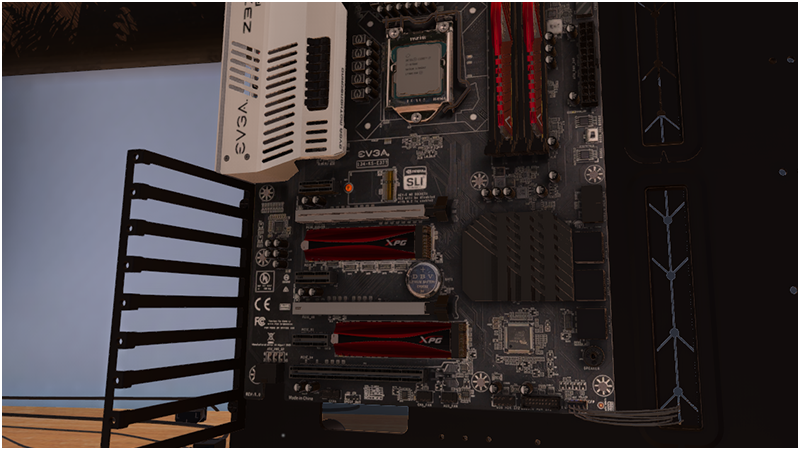 Adjusted the Vega 56/64 GPU models to smooth out the circuit board that looked a bit like SLI connections. Fixed a cabling issue on the COMOS C700P that caused them to clip through the side panels. Added XPG logo to splash screen. Steam Trading Cards are nearly ready to release, we are just awaiting approvals from Steam and then they will go live. We have begun early development work on custom water cooling, this is still very early in the process but we will share more info on this as work progresses. This is the current major feature we are working on but we will continue to release new parts and fix bugs while this development is ongoing. Nice work you guys. Can’t wait to start building. And can’t wait for the steam cards either. I however sometimes wish I could afford building theese impressive machines. Keep up the good work guys! FYI the EVGA DG77 black and white cases, and Thermaltake View 77 RGB case have full support for liquid cooling reservoirs. This was already fixed last week in a hotfix. Thanks. it will be epic when custom cooling comes out… maybe wifi setting/upgrades that would effect some things?